Supt. 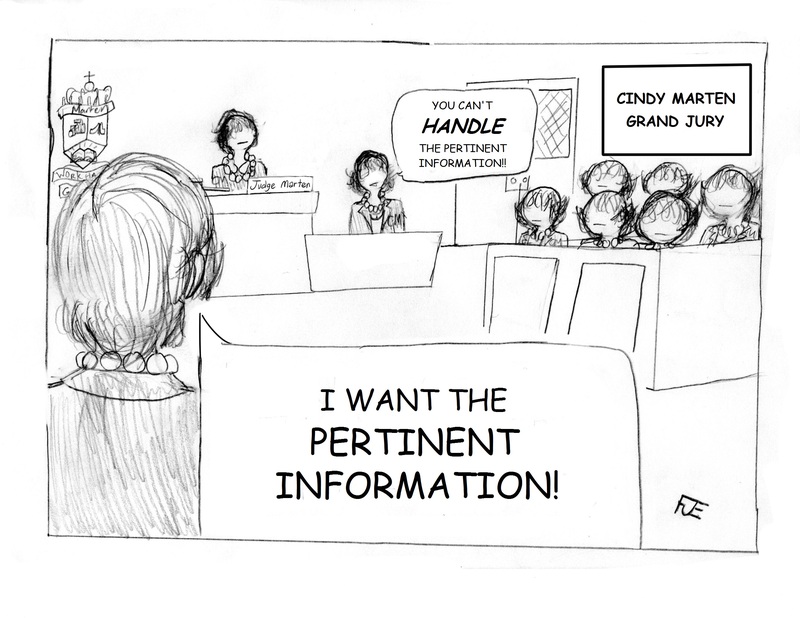 Marten…we said PERTINENT INFORMATION…not DISINGENUOUS OBFUSCATION! Over a year ago, on June 29, 2014, District Deeds posted Lincoln and SCPA – The Smoking Gun? The story was posted a little over 3 weeks after the improper removal of Principal Lizarraga from SCPA. Even though SCPA Principal Lizarraga and Lincoln Principal Omogbehin had done a phenomenal job in extremely challenging and dynamic school site environments, that both were accomplished, highly credential, experienced, nationally renowned African-American educators in high-profile positions and both led District E High Schools, we don’t recall any national civil rights organizations or sorority sisters or well-connected District E community leaders standing on the doorstep of the Education Center on Normal Street decrying the injustice of those improper removals by Marten and Foster…or asking for “due process” for their removal from the SDUSD Board of Education. It is impossible to say whether they spoke in “Public Comment” in front of the Board since ALL the Board of Education Meeting videos from June, 2014 have been deleted. On September 10, 2014, a report by Michael Chen from Channel 10 titled “Sign outside San Diego Unified School District building aimed at trustee Marne Foster“ revisited the inappropriate Principal removals at Lincoln and SCPA. 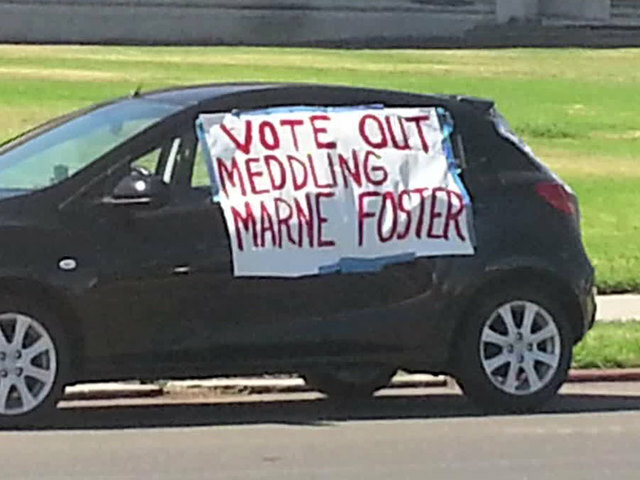 “The sign shows a growing concern within the community,” said student advocate Sally Smith. Smith said parents continue to come to her with frustrations about Foster. In April, embattled Lincoln High School Principal Esther Omogbehin was removed from her post and reassigned. Omogbehin now confirms to Team 10 that it was Foster who initially met with her and asked her to step down. “She’s acting as an individual, not with board consensus, and that’s against board bylaws,” said Smith. Around the same time, a claim was filed against Lizarraga and the school district by the father of Foster’s son, who is a student at the school. It claimed a counselor submitted a negative evaluation that crippled his college hopes. Foster is not a party to the claim, but one parent believes she made sure the principal was punished. “Since there was no justifiable reason to reassign her, the only reason left is Ms. Foster wanted her gone,” said Engle, who has one child who goes to SCPA and one who graduated in the last school year. Engle and others said if a board trustee can act on her own, it opens the doors to personal agendas and a loss of credibility for the school board. “I’d like to see a full investigation to see what she did and didn’t do,” said Engle. The school district says they are looking into whether they are the agency that would conduct an investigation into Foster. Team 10 reached out to Foster, but did not get a call back. So now, 12 ½ months later, the Board of Education chose the “agency that would conduct an investigation into Foster”, the Grand Jury Defendant, for her interference at SCPA and Lincoln. The “agency” assigned was none other than Grand Jury Accomplice Supt. Cindy Marten who was empowered to create a sham of a justification for the improper actions at SCPA by herself and Foster…and NOTHING for their interference at Lincoln. Marten did not disappoint Trustees Barerra, Evans, Beiser, McQuary and especially Foster. The report by Marten titled 9-29-15 Cindy Marten SCPA Support Documentation will go down as THE benchmark of disingenuous obfuscation in the SDUSD Superintendent Hall of Shame. District Deeds will be posting a multi-post analysis exposing Marten and Foster using that report over the next few days. Tune in tomorrow for the first installment.